A half cup of pumpkin seeds provide your body with 6 grams of protein and a half cup of oats provide 7 grams. Add a cup of banana and kiwifruit and you will get another 2 grams of protein. 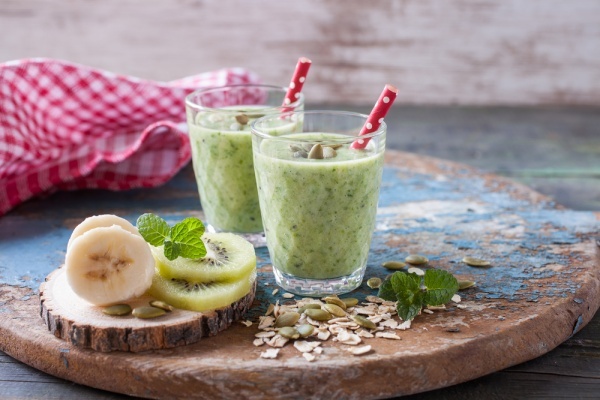 Pumpkin seeds are a great source of potassium, magnesium, iron and zinc, making it an ideal ingredient for your nutrient-packed smoothie.